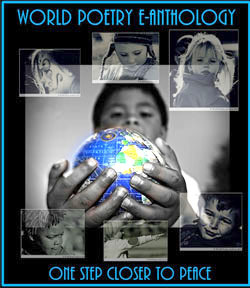 World Poetry Celebrates the Enchanting Purnima Gosavi from Canada! Ariadne’s Notes: The World Poetry Café Radio Show with hosts Ariadne Sawyer and Neall Ryon along with super operator, Victor Schwartzman welcomed the delightful Purnima Gosavi to our show on January 17th, CFRO 100.5 FM. Poetry, music and a special live session on the radio about yoga and laughter! To hear this valuable show, CLICK HERE! She is also a certified Laughter Yoga Instructor, trained under Dr. Madan Kataria the Laughter Guru himself in 2004! She has created and delivered informative and fun packed Laughter Yoga workshop in National Mental Health conference and for schools, hospitals, corporations, non-profit organizations and community groups in Toronto (ON), Plymouth (UK) and Surrey/Langley/Vancouver/Abbotsford (BC). Through her workshops, Purnima empowers the participants with handy self-help tools and interesting insights about health and wellness based on her expertise and experience as a personal counsellor. She is a certified Interpreter in Bengali, Hindi and Marathi languages. 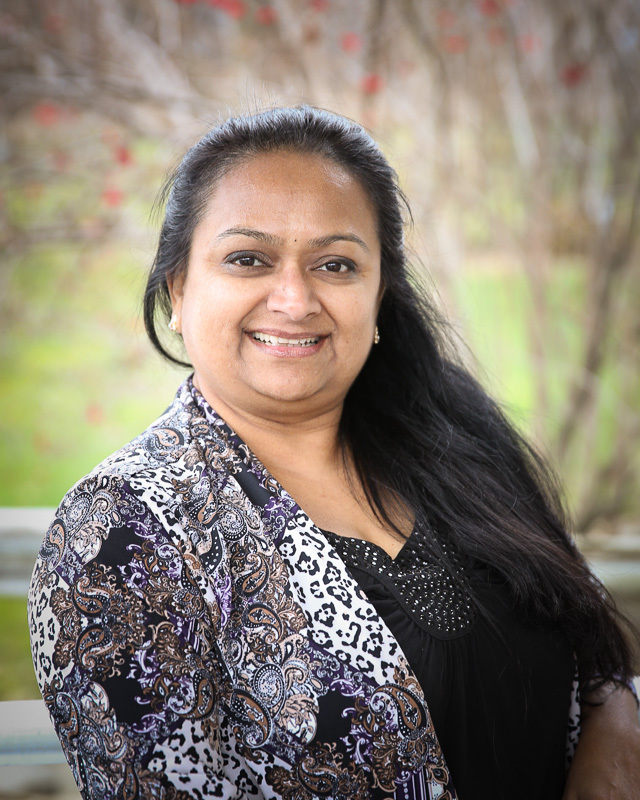 Fun loving, super friendly and caring, Purnima is passionate about mind-body healing, nature and animals, singing, dancing and meditation. She regularly volunteers with different organizations as she believes in giving back to the community. Currently, she offers a 7-steps Mind-Body Wellness consultancy teaching self-help techniques of healing by using the power of the mind. This will especially be helpful for those who are coping with chronic or acute pain due to certain health conditions or accident injuries. For more information, please visit: www.wellnessworkshophq.com. Laughter Yoga for self-healing and world peace! 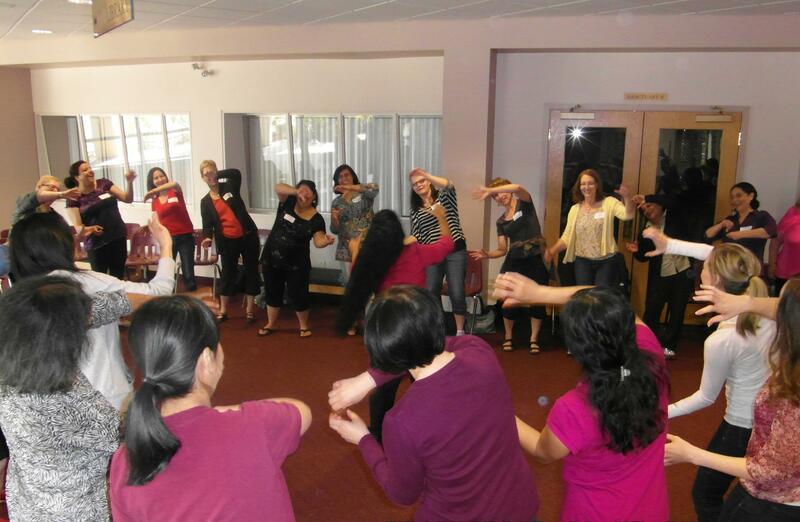 Conducted as a group session, Laughter Yoga combines laughter exercises with yogic breathing and stretching. Harnessing the stimulating effects of laughter, we experience the calmness of yoga. It oxygenates our body and we feel energized and rejuvenated. Laughter Yoga is a unique concept, the latest health craze sweeping the world where people are laughing for no reason. 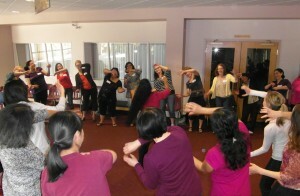 For more information on Laughter Yoga, please visit www.laughteryoga.org. Just come! And we all shall heal: Physically, Psychologically and Spiritually!!! Join us in creating a more joyous and peaceful world through love and laughter! This entry was posted in Featured Poets, General and tagged International Peace Award Ariadne Sawyer, Neall Ryon, Purnima Gosavi, Victor Schwartzman on January 21, 2016 by Ariadne.